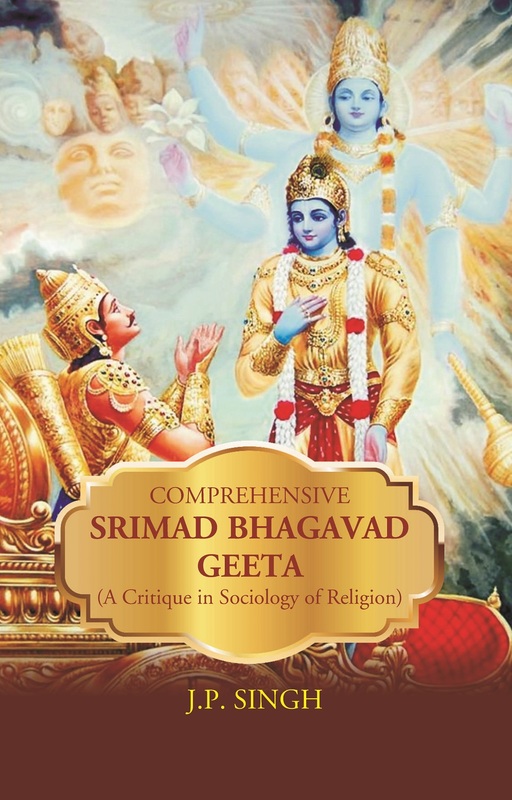 The Title 'Comprehensive Srimad Bhagavad Geeta (A Critique in Sociology of Religion) written/authored/edited by J. P. SINGH', published in the year 2019. The ISBN 9789353240486 is assigned to the Paperback version of this title. This book has total of pp. 774 (Pages). The publisher of this title is Kalpaz Publications. This Book is in English. The subject of this book is RELIGION / PHILOSOPHY. Print on Demand. The author has raised a volley of thoughtful queries and questions against various religious beliefs and practices, including the philosophy of the Geeta, coming through the ages and has tried to offer a fresh perspective on individuals' religious life in society through this book. This is the first book of its kind on the Geeta using sociological perspective; wherein stimulating and exciting issues have been raised on various subjects for open-minded readers to have a further insight into the problems and worries concerning religion and spirituality. Experience has shown that it is not easy, if not impossible, to translate the precepts of the Geeta into real life. But the more you follow, the more liberated you become from the problems of life. The more you trust, the more confident you become. All other ways of God-realization are a kind of deception and waste of time. The Geeta suggests the best possible way of knowing the Supreme Being to attain perfection in one's life. It comprises the timeless doctrine of universal truth. J P Singh is an eminent sociologist and writer. He obtained his MA from Patna University, Patna, MPhil from J N U, New Delhi and PhD from the Australian National University, Canberra. Superannuated from the P U service in 2015 where he served as Professor of Sociology and Pro Vice-Chancellor. In addition to books in Sociology and Demography, he has authored Mahabharat Evam Srimad Bhagavad Geeta.